They say, “A fool is one who admires other cities without visiting Rome”, and we cannot agree more! Rome is precious, romantic and mysterious, all at once. Rome isn’t just another tourist destination, it’s a dive into history, a ride into the world of art and a culinary paradise. It’s impossible to travel to Rome and not fall in love with this ‘Eternal City’. Our 3 day trip to Rome left us craving for more and we can’t wait to go back again! That’s the kind of magic Rome spells on its visitors. But how do you prepare and plan before you visit such a vibrant city with so much to do, see and experience? Planning a trip does not simply mean making a list of places you should visit and checking things off it. Planning a trip to Rome needs you to delve a bit deeper because there are quite a few things to keep in mind. Every country and city has a character of its own and Rome is no different. 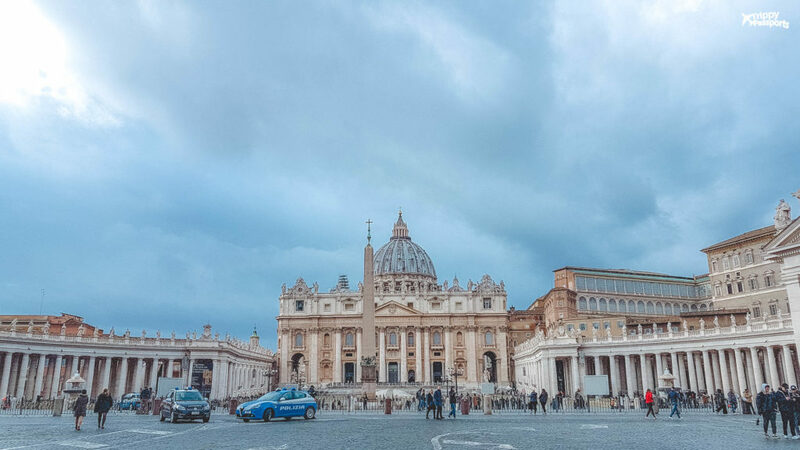 So based on our recent 12 day Italy itinerary, out of which we spent 3 days in Rome, we decided to share with you our insights on the top tips for visiting Rome. Using these Rome tips, we hope you are better prepared to explore the city and make the most of your experiences. So you’ve decided to visit Rome and you have already made a list of places you want to visit. That’s great! But have you thought of the other things you need to take care of? What is the best way to travel within the city? Are there things you should be wary of? These and so many more such questions are bound to pop up in your mind when you’re planning the nitty-gritty of the trip. So here are our Rome travel tips to get you started on that good life Italy is known for! Rome is calling and you must go! Rome can technically be visited at any time of the year. But if possible, we suggest you plan your trip for any season other than summer. Although the months from June through September are when most people visit Rome, it can become a little exasperating for the very same reason. Both the temperature and the crowd reach their peak and you are left fighting your way through crowded tourist places in sweltering heat. It’s not uncommon to find long winding queues at most places of interest and if you ask us, that’s enough to keep us away! From our personal experience, October to March is a good time to visit Rome. The month of October gets a bit of rainfall, while December to February is quite cold, but nothing that cannot be tackled with the right kind of clothing. Our trip to Rome was in January and we loved that the temperature was pleasant all throughout and the days were still bright and sunny. But the biggest added advantage of visiting Rome during the offseason is cheaper accommodation costs and less crowd! Entry to museums was a breeze for us and we were told that things look very different in summer! We can’t promise that there will be absolutely no crowd anywhere in the offseason, because Rome is, after all, a very popular travel destination. But we sure can tell you that it’ll be much lesser than the crowds you would have to deal with in the summer. If you are planning to spend at least 2 or 3 days in Rome, we highly recommend purchasing the Roma Pass. Sponsored by the Ministry of Arts and Cultural Activities and Rome City Council, the Roma Pass turned out to be very useful during our stay in Rome. Irrespective of which pass you buy (48-hour or 72-hour), you get unlimited access to all modes of public transportation for the stipulated duration. Before our trip, we did think that we may not need to use public transport as much since most of the major attractions are located close to each other. But we still went ahead with the purchase and boy, did it come to good use! Having unlimited access to trams and buses meant we could go anywhere we wanted at any time! You definitely don’t want to be in a city like Rome regret missing out on things because they are far away. Apart from that, the Roma Pass also gives tourists free or discounted entry to museums – 1 free museum for the 48-hour pass and 2 for the 72-hour pass. We used our 72-hour pass to get free entry to the Colosseum and the Borghese Museum. Beyond that, several museums provide cheaper entry to Roma Pass holders. We did initially find the pass a bit pricey but if you see the value of what we got in return, it’s worth every buck and extremely handy. A walk through Rome is like taking a journey into the yesteryears. Every monument and building reveal stories of the past, no matter how ordinary they may look from the outside. 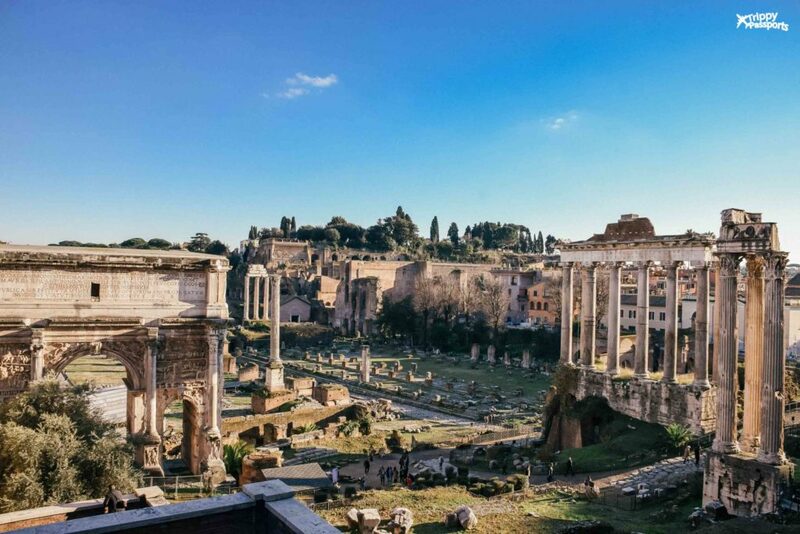 Self-exploring a city like Rome is adventurous and fun but from our recent experience, we can tell you that it’s even better with a personal guide to help you on the way, telling you stories of the city you’ve never heard of. 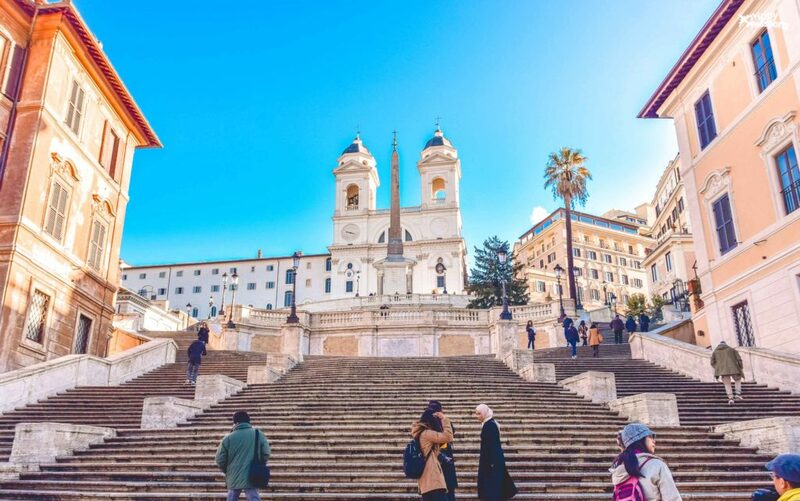 Whether you want to get a lowdown on some of Rome’s biggest highlights or you want to give your taste buds a culinary tour, a guided tour with a local guide is probably the best way to soak in all that Rome has to offer! 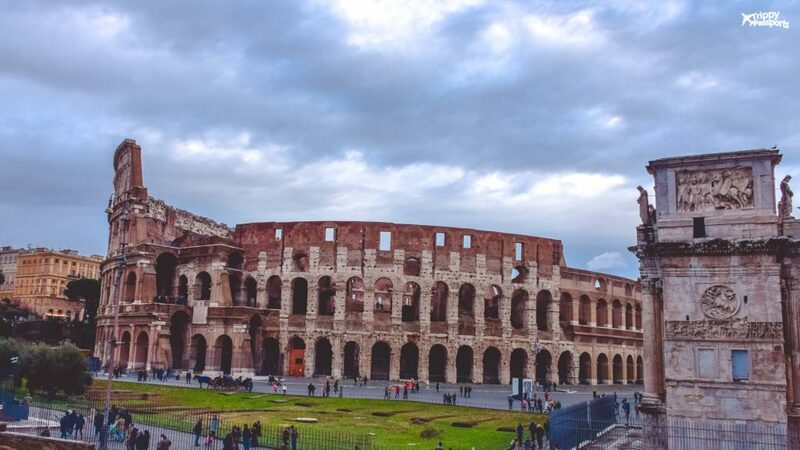 We absolutely loved these Rome tours from Withlocals that range from city walking tours to authentic Italian food tours. Isn’t the best way to discover a new city with a local by your side? As a bonus, if you enter tourist attractions with a guide, you often get to skip the entry queues and get straight down to business. This is valid all across Italy, which gives you even more reason to look into these guided tours! Rome, and Italy in general, have become somewhat infamous for pickpockets. It’s not just something you see in the movies, pickpockets are for real. But there’s nothing to be scared of. All you need to do is keep caution and be alert while you have fun, especially in crowded public places and on local trams, buses and trains. Carry your personal belongings discreetly and always keep your cash, credit cards and passport in a place that’s hidden, definitely not in the pockets of your trousers from where they can be easily stolen. But apart from that, we felt extremely safe on the streets of Rome even late at night. So don’t worry too much and go with the flow! When in Rome, do as Romans do. And when it comes to fashion, it is definitely a good idea to up your game in Rome! If you love to dress up, Rome is the perfect place to let all your stylish pieces of clothing out. Also, remember to dress for the season. If travelling in summer, opt for breathable, comfortable clothes. For winter, pack a lot of layers which give you the flexibility to wear as many or as few layers you want depending on the extent of cold. But irrespective of when you travel and what clothes you wear, packing a few pairs of comfortable walking shoes and sneakers is a must. There’s a ton of walking to be done in Rome and the last thing you want to worry about is shoe bites or aching knees. Rome also has a lot of beautiful cobbled streets and the only way to walk on them comfortably is to wear shoes that provide support and cushion. With some of the most famous museums in the world located right here, a trip to Rome is incomplete without getting a taste of the exquisite art pieces housed here. Most museums in Rome and in Italy, in general, are closed on Mondays. So always remember to plan your itinerary in a way that doesn’t involve visiting a museum on a Monday. Another interesting thing to remember is that many museums give free entry to tourists on the first Sunday of every month. So if you happen to be in the city on the first Sunday, do check the museum’s website in advance to see if they allow free entry, saving yourself quite a lot of money! Moreover, there are some museums where you need to book tickets in advance as they allow only a limited number of people per day. For example, the Borghese Gallery doesn’t allow visitors without prior reservation. So make sure you call or email them to confirm your visit and get a booking reference number for a specific time slot. As mentioned earlier, you should also check out the Roma Pass website for details about which museums you can get free or discounted entry to, to maximise on savings. The location of your holiday accommodation can make or break your experience. In Rome, staying in a hotel bang in the historic city centre always turns out to be more expensive. So if cost is a concern, pick a place close to or just bordering the city centre. 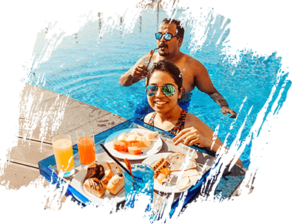 That way, not only do you pay a little lesser for your hotel or hostel, but you are still close enough to all the main attractions and are able to avoid the crowd when you come back to the hotel at night. Look out for accommodation in the area called Rione Monti in Rome, from where most of the attractions are within walkable distance while still being located close to Rome’s central train station. We stayed in a small B&B here only a few minutes walk away from the Colosseum but still cut off from the mad rush. There are probably very few cities or countries in the world where fraudulent people will not try to fool tourists with fake products and misguided information. In Rome too, as well as other Italian cities, it’s very common to come across people who pose as tourist guides to extract money from travellers. Another common form of tourist scam we came across in Rome was people luring unaware tourists to buy so-called authentic souvenirs, which are obviously fake! Use your common sense and avoid buying anything from people who randomly approach you on the road. When booking local tours, verify the authenticity of the company before you commit. These Rome tours from Withlocals, run by genuine local tour guides, are a great place to start your search. Yes, yes, we know this is a difficult one to tackle. For a city that’s obsessed with food and where every restaurant sells its own variation of the authentic Italian pizza, it’s no easy feat to make a list of the best places to eat in Rome! But what we can tell you is that there are a few ways to ensure that you have a great gastronomic experience in the city. First things first, if you want to have wine with your food, definitely try the house wine wherever you are dining. Not only is it much cheaper than a fancy branded bottle, it is equally good in taste and quality, unlike the house wine we are used to being served in non-wine producing regions of the world. Secondly, and this one is extremely important, avoid eating at restaurants located near tourist spots like the Trevi Fountain or Piazza Navona. Restaurants at these places have the advantage of a good location, but that’s about it. They are usually way more expensive, serve subpar food and are probably not even authentic. Walk away from the buzzing crowds and find places where locals come to eat, especially the small family-run places. 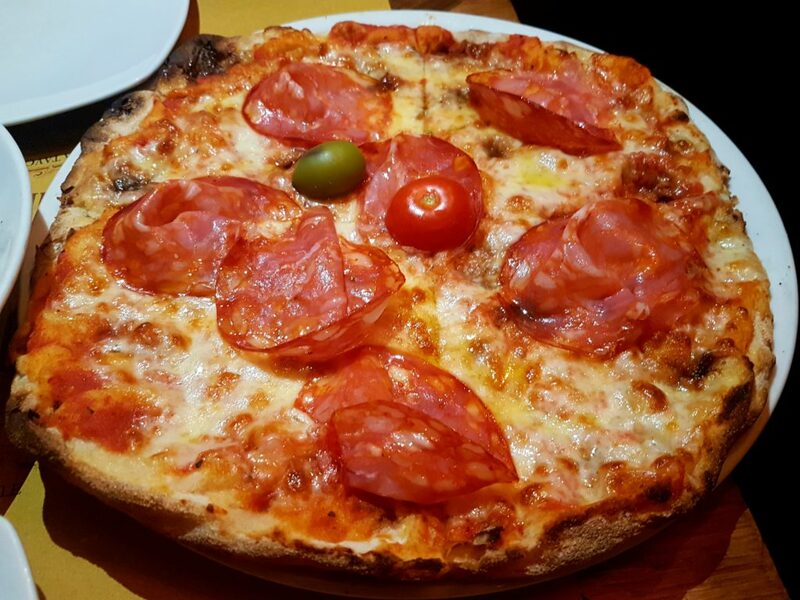 Don’t shy away from restaurants that don’t have an English menu card – that’s the authentic Italian restaurant you were looking for! 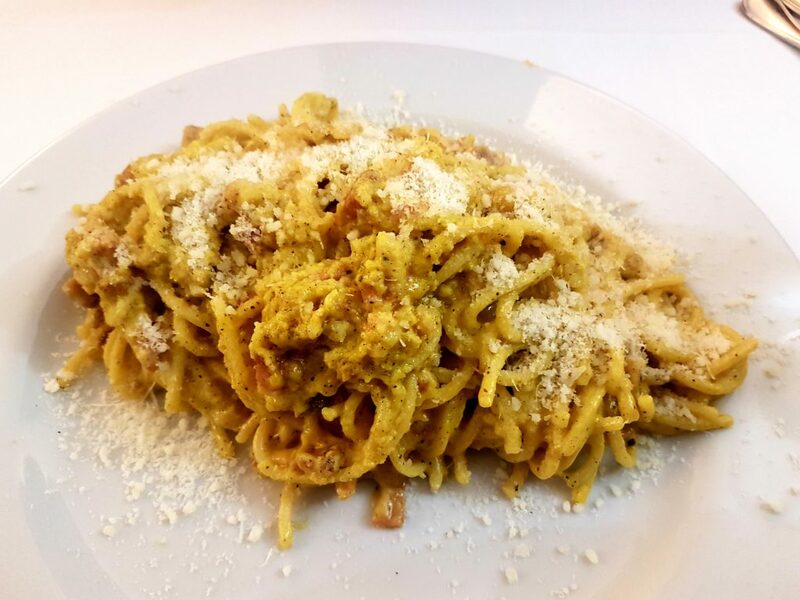 If you ask us, we highly recommend these 2 restaurants in Rome – Cantina e Cucina for their pizza and Antico Carlone for the most incredible Spaghetti Carbonara. Most museums you visit will give you an option to purchase an audio guide to help you explore the museum and its art pieces. 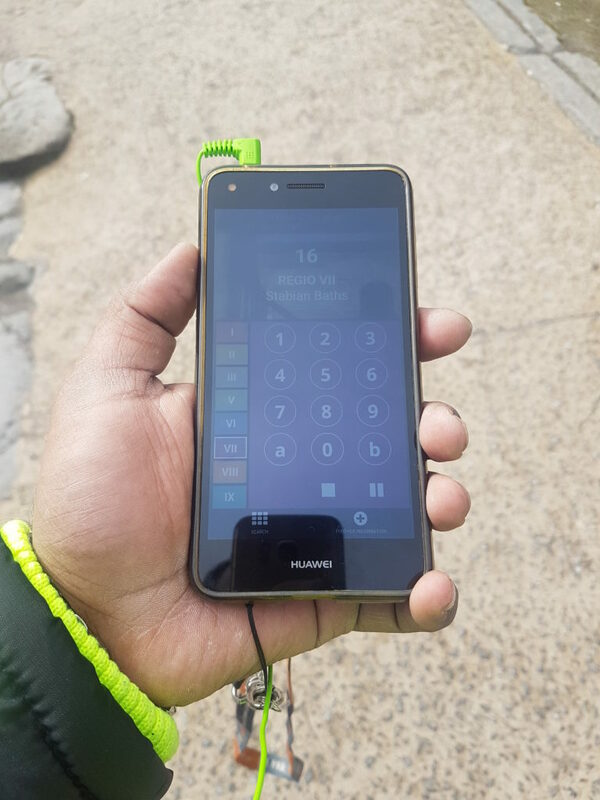 An audio guide typically looks like a small smartphone-like device with or without headphones. They come at an additional cost of Euro 5-8 per device and are immensely helpful for those who are interested in learning about the history of the museum or stories about the pieces on display. This may seem like an unnecessary expense, but we highly recommend you rent an audio guide because there’s no better way to learn about what you see in front of you. They provide a wealth of information which is very well presented in bite-sized pieces for ease of understanding. And they even come in multiple languages other than English, like Italian, Spanish, Chinese etc. So if you haven’t opted for a personal guided tour of some of the museums, this works as a great alternative! 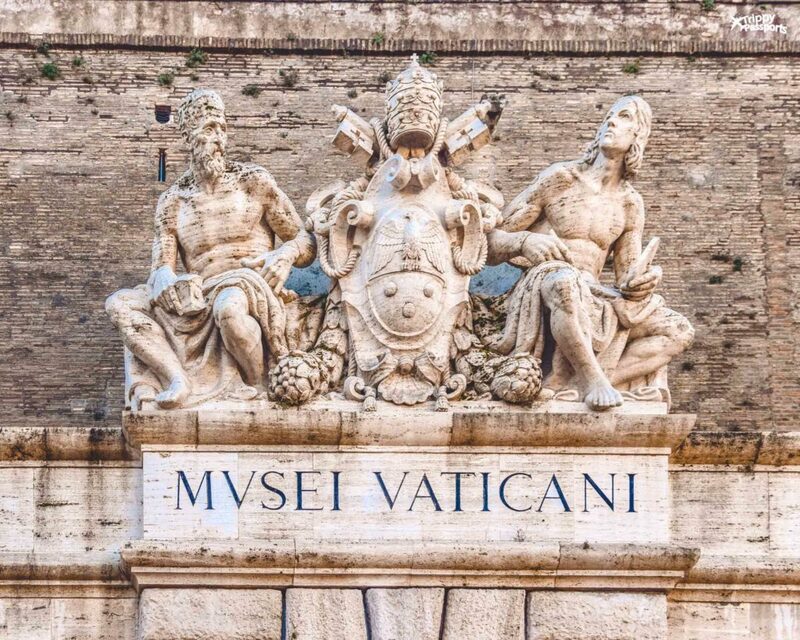 Rome is a heady concoction of food, art and history at their best! Take care of a few things while planning your Rome trip and it’s hard not to have a good time in this city. 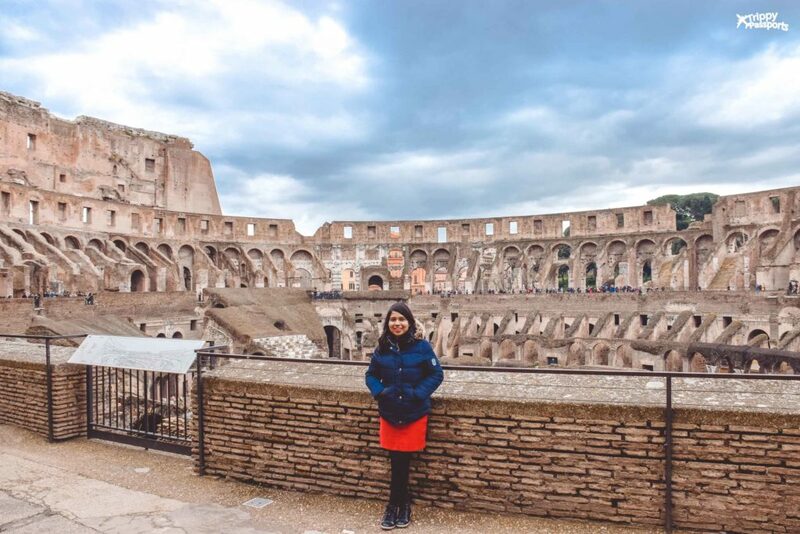 We hope these Rome travel tips come in handy and help you prep for a seamless holiday! So, go ahead, plan that long-cherished Italy travel itinerary and let us know if you have any more questions. Planning a trip to multiple countries or cities across Europe? Then here is what you need to know before you start planning the trip, especially if you are a first-time visitor.